In the early Imperial period, a large building complex made up of a palaestra and thermae sponsored by Cnaeus Vergilius Capito, Commissioner of Asia Minor during the reign of emperor Claudius (41-54 AD), was built between the Delphinion and the Hellenistic Gymnasium. The citizens spent their spare time exercising and socializing in these two facilities. 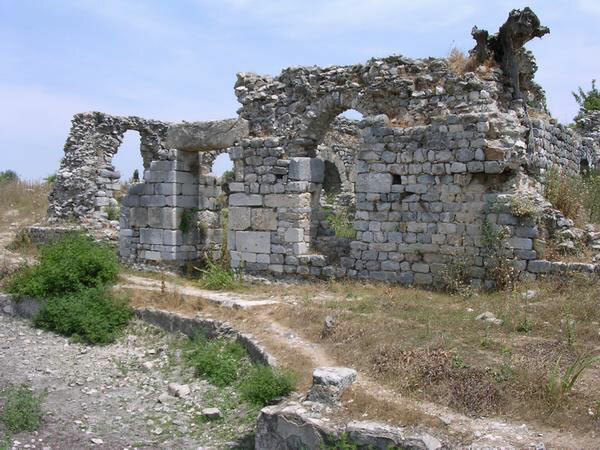 The Capito Thermae complex measured approximately 96X40 metres. The Palaestra, which consisted the main exercise area, had a square layout and measured 39X40 m. The open-air space of the Palaestra was surrounded by a two-storey Ionic stoa, while on the east side, there was a semicircular, 1.14 metre-deep swimming-pool (natatio). There were two passageways providing access from the Palaestra to the Thermae. 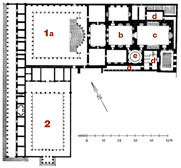 The main building of the Thermae was arranged in three wings. 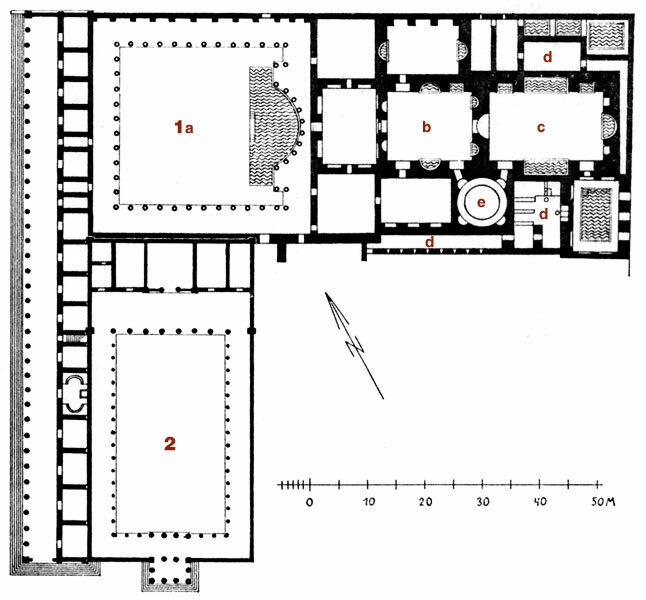 The middle wing comprised the apodytirium (dressing-room), the tepidarium (warm bath) and the caldarium (hot bath). In the north and south wings, were -consequtively arranged- an apodyterium, water basins and heated areas with a hypocaust system. The exterior of the Thermae was simple, yet the interior was ornamented in many-coloured marble covering the floor and the walls. There is epigraphic evidence confirming that Capito was the sponsor of the building complex. 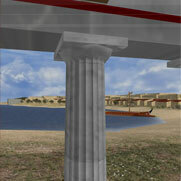 An inscription is inscribed on the northern section of the Ionic Stoa, and mentions that the facilities were devoted by the delegate of Egypt and Asia to some emperor: THE COMMISSIONER OF EGYPT AND ASIA HAS DEVOTED THIS VALANEUM. According to another inscription, from Didyma, the commissioner of the Capito Thermae is identified with Cnaeus Vergilius Capito, who occcupied this office during the reign of Claudius, r.
The Capito Thermae were the most ancient baths of the city of Miletus, and were distinguished by their axially symmetrical architectural arrangement. The Humei Tepe Thermae were built in the northern part of the city during the 1st century AD, while the Faustina Thermae operated in the south part of the city from the middle of the 2nd century AD.